I haven't felt particularly Christmassy until I spent the afternoon with my Mum and Millie last week. 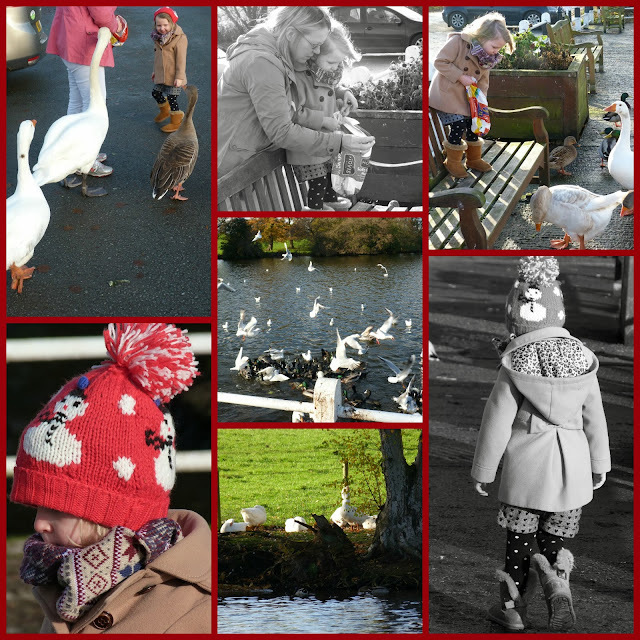 We went out to feed the ducks at a local lake. We thought they might be hungry and its one of Millie's favourite things to do! They were very, very hungry. As soon as we stepped out of the car they crowded round and some of the naughty swans tired putting their heads in the bread bag! Cheeky! We had a really nice time its such a lovely place to feed the ducks. There are so many different types of ducks and swans that live there. This is Millie pretending she isn't posing for the camera. My Mum bought her the hat from Next I can't see it online but they have them in quite a few stores. She has also had so many comments on her snood which was a steal at £4 from Asda. The garden centre that we went to is renowned for putting on a good display of Christmas treasures. We go most years and the children have a fab time. It has about 8 rooms of colour themed Christmas goodies, it is crammed full of stuff but somehow never looks too much or cluttered in any way! We all had a lovely time and its well and truly put me in the mood for Christmas. 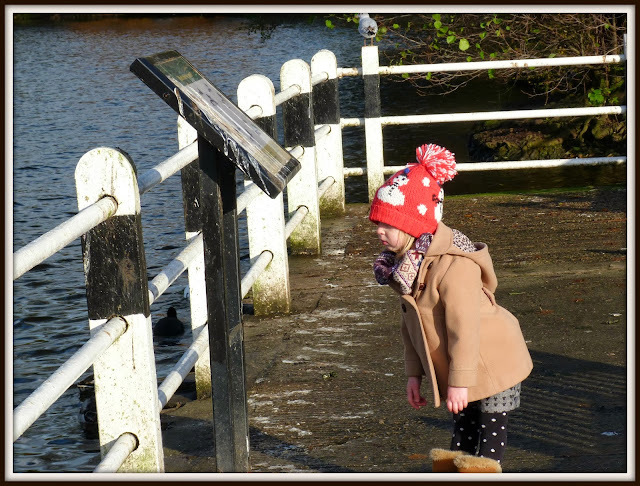 Millie was mesmerised by everything, I think she's going to love Christmas this year, she really doesn't seem to be able to remember much from last year and I still don't think she knows whats going to happen on Christmas morning! Its so exciting when you see how excited they are! Aww lovely photos! So festive! !